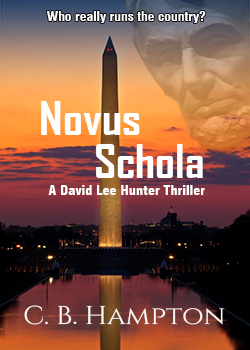 If you enjoyed reading Novus Schola, please visit our Shop to add it to your collection. Thrilled to have landed a great job so quickly, David throws himself into the tasks of learning how the DC government works”"and finding the conspiracy. His first assignment on day one proves to be explosive as he stops a mass murderer on a killing rampage. And from there the excitement builds to a fever pitch. David soon meets Angela Bel Geddes, a breathtakingly beautiful computer researcher who wants his help to find her mother. Together. they work to uncover the conspiracy and find a way to save the country from an evil want-to-be dictator. The WIND takes place in eight days of high-speed action and suspense!